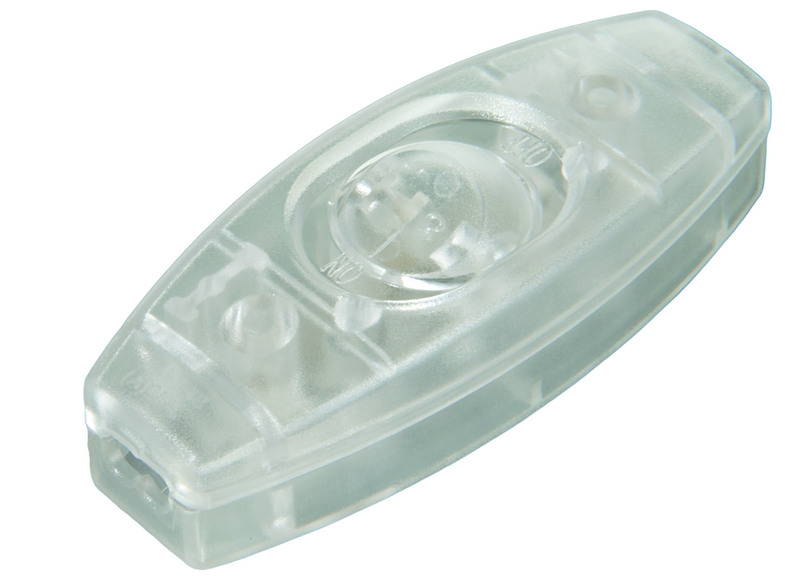 Clear inline, feed-thru rocker style cord switches for 18/2 spt-2 cord. These switches are superior to older designs in that they are easy on your hands, easier to use, and also work very well with twisted rayon/cotton cord or traditional plastic lamp cord. Ergonomic design. Easy to locate in dark space. 3 amp, 120VAC UL listed, 2 1/4 inch by 5/8 inch. No reviews yet for the Clear In Line Feed Through Rocker Switch.